A Breakfast Event: 7:15 am for 7:35 am Monday 25 February 2019; (finish by 9 am). Helen Cook from GNE ADVISORY is an independent nuclear energy lawyer dedicated to all aspects of the civil nuclear sector. She is the author of the comprehensive legal text book, The Law of Nuclear Energy published by Sweet & Maxwell, (Second Edition, March 2018), recently reviewed in the International Energy Law Journal by Tim Stone CBE. She is the former chairperson of the Law Working Group of the World Nuclear Association. Helen has expertise advising on both the structuring and establishment of the legal and regulatory infrastructure for civilian nuclear power programmes, as well as the strategic development and negotiation of commercial arrangements for new nuclear power plants, including procurement, construction and financing. She has represented governments, owner/developers, reactor vendors, equipment suppliers, export credit agencies, regulatory authorities, fuel suppliers, uranium traders and hedge funds on nuclear energy matters. Recognised by the International Atomic Energy Agency (IAEA) as a nuclear law expert, Helen has teamed with the IAEA on missions to Saudi Arabia, Mexico, Jordan, Egypt and Poland, as well as IAEA Technical Meetings in Vienna. She was featured in the 2017 issue of the IAEA Bulletin “showcasing the achievements and perspectives of eight exceptional women in the nuclear field”. 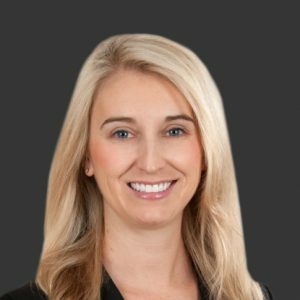 Helen obtained her law degree from the University of Sydney and commenced her career at Allens Arthur Robinson.